As part of a commitment stemming from the inaugural Joint Committee meeting between the Dispute Resolution Authority (DRA) and Ras Al Khaimah in March, the Judicial Excellence Programme launched a series of six workshops by DIFC Academy of Law and Ras Al Khaimah Courts Department. 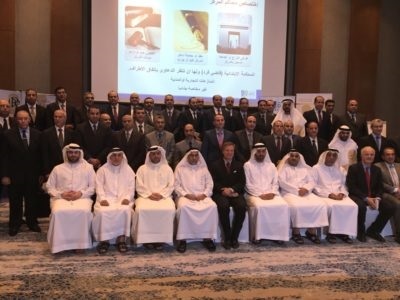 Held over the course of six weeks, from April to May, Judge Ali Al Madhani of the DIFC Courts led the knowledge transfer seminars in Ras Al Khaimah. Judge Al Madhani shared his professional background as both a common law and civil law practitioner, and a judge of the DIFC Courts. Real-life practical experiences in areas such as case management, judicial efficiency, communications with lawyers, and how to better allocate court resources, were discussed. Small claims administration: Introduction and the SME impact; relationship between judiciaries and economies and process and cost-efficiency. Analysis of comparative systems in the UK, Singapore and DIFC. Judge skills: Differing roles, from the litigant to the lawyer and the public’s expectations. How to ensure smooth lawyer communications.